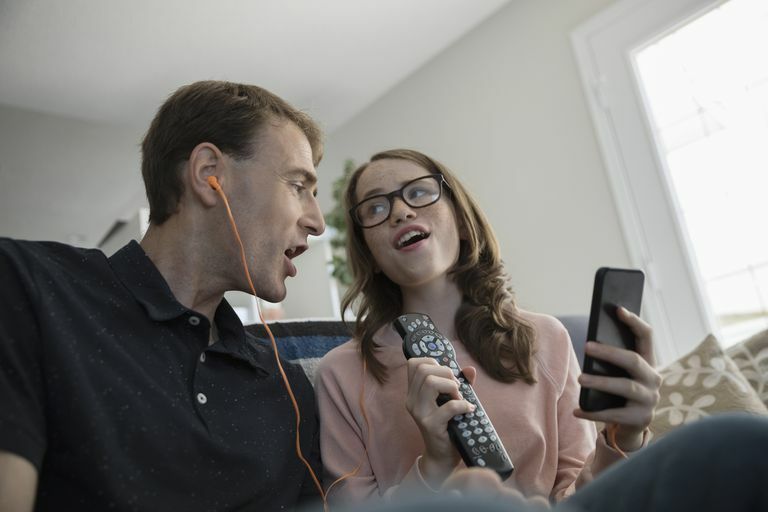 Whether you've got a phone, tablet, or another type of portable device that sports the popular Android operating system, it's always handy to have a music identifier (Music ID) app with you while on the move. However, not all music ID apps work in the same way. Most use your device's built-in microphone to sample part of a song. This is then sent to a specialized online database in order to try and work out the name of the song. These online audio databases contain unique acoustic fingerprints of songs which are used to accurately match the sampled waveforms -- and hopefully retrieve the right song details. You may have already heard of popular ones such as Shazam, Gracenote MusicID, and others. If your Android device doesn't have a microphone or you don't want to use this kind of feature, then some Music ID apps also work by matching lyrics to identify songs. These still use an online database but rely on you typing in a series of lyrics in order to match the correct song. To see some of the best Music ID apps available for your Android device, we've compiled a list of ones that give great results. Reliably accurate at identifying songs from television shows and commercials. Keeps track of your tags in a historical list. Has difficulty recognizing acapella singing and humming. Shazam is perhaps the most widely known Music ID app on the Android platform (and perhaps other OSes too) for its ability to accurately identify unknown songs. This app utilizes your Android device's built-in microphone to take a quick sample of a song that you want to name. The Shazam app can be downloaded for free via Google Play. The free version enables you to tag an unlimited number of songs with useful information such as: song name, artist, and lyrics. There's also the facility to buy tracks from the Amazon MP3 store, watch music videos on YouTube, and use social networking platforms like Facebook, G+, and Twitter to share tags. If you want to go ad-free and have more options, then there's also a paid version called Shazam Encore you can download from Google Play. Provides a ton of information about songs including lyrics. Makes it easy to purchase the songs it identifies. Struggles to ID staticky music. SoundHound is a popular Music ID app for the Android operating system that uses your device's integrated microphone (just like Shazam). It grabs a sample of a song and then accurately identifies it using an online audio fingerprint database. However, the big difference between SoundHound and other music ID apps is that you can also use your own voice to find out the name of a tune. This is achieved by either singing into your device's microphone or humming the tune. This feature is useful when you miss the chance of sampling the sound of a song, but can still remember how it goes. There are two versions of SoundHound. The free version (which can be downloaded from Google Play) comes with unlimited IDs, LiveLyrics, and sharing via Facebook / Twitter. While the paid-for version (similar to Shazam) is free from advertisements and has more features. Consumes less data and battery than other apps. Free version contains no third party ads. No way to quickly purchase tracks. To compliment (and promote) their music service, Rhapsody has made this free app available via Google Play which uses your device's microphone (and an online database) to identify unknown songs. The good news is that you don't have to be a Rhapsody music service subscriber to benefit -- although if you are then you'll get enhanced use out of your Rhapsody account. Although Rhapsody SongMatch isn't as feature-rich as some of the other Music ID apps in this list, it does have a high success rate when identifying songs correctly. Integration with Gracenote database makes finding lyrics easy. Struggles to ID songs in noisy environments. MusicID with Lyrics is a full-featured app that uses two methods for finding out information about an unknown song. Just like the other apps covered in this article, you can use your device's integrated microphone to sample a portion of a song which is then sent to the Gracenote audio fingerprint database for analysis. The other method involves lyric matching where you type in a phrase to identify a song. This mix of techniques makes the app more flexible than some other apps in how you can find out the name of a song. MusicID with Lyrics also has other useful functions such as: linking to YouTube videos, information on artist/band biographies, and suggestions on similar sounding songs. There's also the facility to directly buy and download the songs you identify. At the time of writing, MusicID with Lyrics can be downloaded from Google Play for 99 cents.